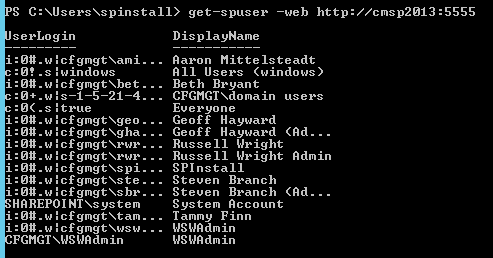 Remove-SPUser PowerShell Command: How to Use it in SharePoint 2013 | Are you a user? Remove-SPUser : You must specify a valid user object or user identity. This thread referred to the Get-SPUser cmdlet and using New-SPClaimsPrincipal, but what I found was pretty simple. The trick for me was to put double quotes around the encoded user name. Any idea why database table WSS_Content_.dbo.AllUserData still returns the user I deleted?